Hillfolio is an online, evidence-based investing platform. For years, Hill Investment Group (HIG) has been working with ultra high-net worth families throughout the U.S. to put the odds of successful investing on their side. We’ve built a national practice, but one thing has always been missing: a way to bring our approach to more people. That’s what led us to create Hillfolio. The Hillfolio team is committed to providing a premium experience normally offered only to ultra-wealthy clients. This isn’t just another investment advice book. It’s a memoir, a manifesto, and a map to the way investing should be. 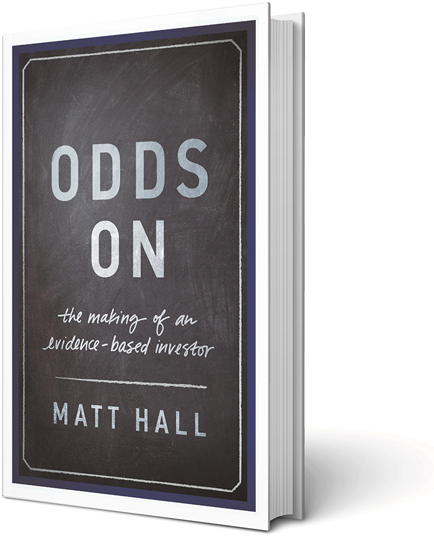 We recommend reading Odds On to understand our vision, values, philosophy and the way we serve clients. If you believe what we believe, everything else will make sense. Top Seller in "Investment & Analysis Strategy"
Selected to "Best New Business Books"
Hillfolio has relationships with the following partners. Hillfolio is a registered DBA (doing business as) of Hill Investment Group, LLC; an SEC-registered investment advisor. Please see our Full Disclosure for important details. Take the long View® and Hillfolio® are registered trademarks and property of Hill Investment Group, LLC . All Rights Reserved.